Do family dramas, gruesome horror, bone-chilling suspense, and portals into other dimensions hold a fascination for you? If so, then it’s time you opened up a copy of Locke & Key: Welcome to Lovecraft. You’ll meet the Locke family and discover that they have more than their fair share of family skeletons (demons, and spirits, and ghosts, oh my!) in their ancestral closets. In a story created by Joe Hill (son of horror master Stephen King) and Gabriel Rodriguez, IDW Publishing unleashed the Locke family demons into the world back in February of 2008 in an issue that sold out in a single day. The Locke & Key series went on to win British Fantasy Awards in 2009 and 2012 for Best Comic or Graphic Novel and multiple 2011 Eisner Awards. Despite a failed TV series adaptation that same year, a film trilogy based on the complete Locke & Key series was officially announced at Comic Con 2014. Whether you’re already fans of Tyler, Kinsey and Bode Locke or we’ve only just piqued your curiosity to learn more about their intriguing family secrets, you’ll want to join us for our January Graphic Novel Reading Club discussion. 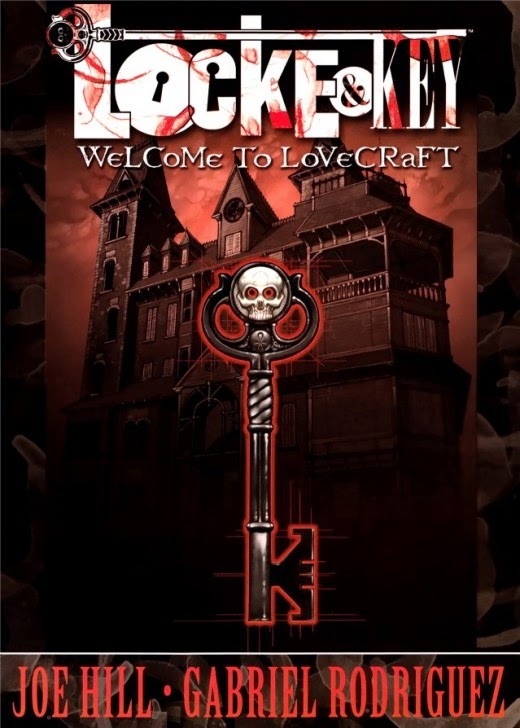 Read Locke & Key: Welcome to Lovecraft. Then join our Graphic Novel Reading Club. On the second Thursday in January, we’ll explore what’s hidden under Locke & Key, discussing everything from the art and the characters, to the delivery, the plot and the story arcs. Did the opening of the story confuse or intrigue you? What clues and telling details did you find within the book’s various artwork panels? Did you feel any empathy for Sam Lesser? If so, why? Does the quality of the content justify the gore? Do the series of flashbacks serve the story or distract from it? How many magical keys are too many? Join the discussion if you’ve got the soul (and the stomach!) for it! Thursday, January 8, 2015 from 6:30 – 7:30pm, PST here at Empire’s. Check out the line-up below to see which graphic novel or collected edition titles we'll be reading and discussing each month. If there's a title you're interested in, talk to Ben at the shop or message him via Facebook or Twitter, and he'll make sure there's a copy of the book for you. You may participate in one or all of the discussions or whichever ones interest you. Also, you can get the book at the shop or the library or the one that's already in your collection. Show up by 6:30 p.m. on discussion night. We'll take over Empire's Lounge and get into the book! Feel free to bring something for yourself to eat and drink or something to share. There are decent food options on Fulton Avenue and a convenience store in the shopping center. Check our events schedule regularly for new and updated entries. Here's what we've selected to get started. If there's something we should consider, please let us know and we'll add it to our growing list of titles.